What we provide are insights that take you beyond the normal of what is provided in the traditional project management community and we don’t shy away from controversial topics or opinions that will stretch your thinking and make your more effective and efficient than your peers. 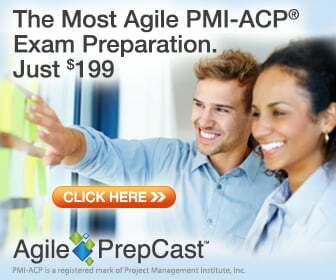 But we also provide practical topics such as how to pass your PMP and other certifications as well as services provided by our affiliate partners at a discounted rate. The start of this site was a simple page Don Kim had on his personal website with information on how to pass the PMP exam as well as some blogs he wrote about related to project management in regards to entrepreneurship, technology development, and business management back in 2007. So many found it useful, that he decided to create a dedicated website to all things project management. He hopes the information, resources and tools available will help you in your job as Project Manager, regardless if you are just starting out, are a seasoned professional, or just seeking to find the latest in tools, tips, and best practices. My life can be described as a recurring episodic cycle of relative calm, punctuated by crisis, transition and reflection both in my professional and personal life. This constant series of change and transition when viewed from the outside will make me look like a man who is uncertain of himself and his mission in life. While there is certainly some truth in this, it has mostly to do with the quest to learn, grow and change. And this need to learn, grow and change is exactly what I’ve had to do: I was a one-time aspiring PhD student in philosophy who became disillusioned with the whole tenure process and decided to do something else. I somehow became an owner of several franchise businesses (which included an Arco AM/PM gas station, mail and shipping center, etc.) while also teaching myself to program software during my free time and selling it on the side. I found a way to leverage these skills to transition back into the workforce initially as a software developer. This included a short stint in a start-up cutting code for an artificial intelligence call center system, to working for a boutique consulting company developing web applications for Fortune 100 companies. A major shift in my career occurred, when I discovered the field of project management that seemed to integrate and reconcile technical knowledge, emotional intelligence and business management skills into a perfect marriage. I have never looked back. Since 2007, I have been involved in the field of project management initially as corporate employee and now as an independent consultant, trainer, coach, educator and author which includes being an instructor at four universities and colleges, author for several industry publications and event speaker. I am the founder and owner of one of the world’s most popular PM portal website at www.projectation.com. My core competencies are to advise, educate and provide insights for your organization, department or teams to better manage people and projects, act as a catalyst for change, and to push new boundaries. In addition, my entrepreneurial pursuits have never left me, which provides me a position uniquely suited to driving and delivering business value to my clients and customers. I am the author of “I Think, Therefore I Plan: Mastering the methods and meditations of project management ”, a book, like my life, that makes you philosophize on the “how” (methods) AND the “why” (meditations) of managing projects in work and life… This book fulfills this need like no other in the industry! I will help you manage your projects like a business so that your “project solutions are realized”.